The South Redford School District loves new students and families! 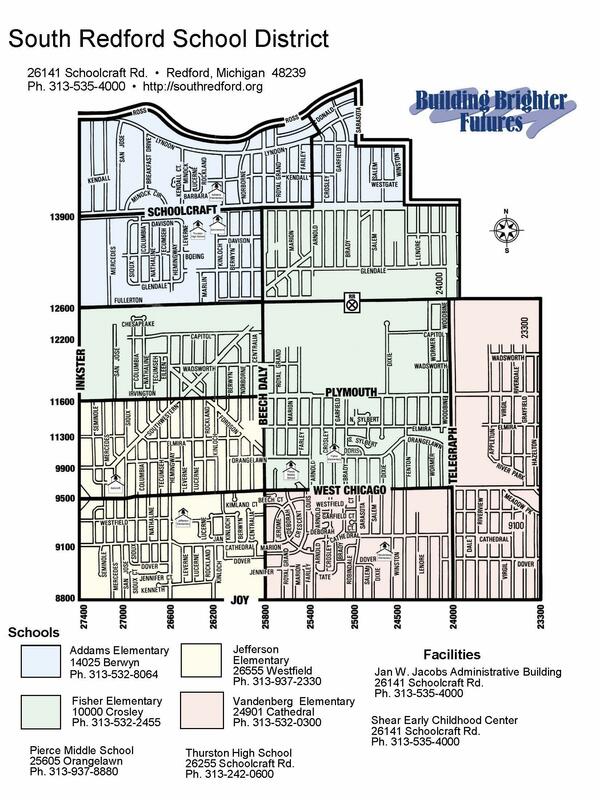 Take a look at the maps below to determine if you reside within the South Redford School District boundaries. For those who do not live within the boundaries, we do offer school of choice. For more information on the school of choice application process, see the application below.